The Easton Presbyterian Church is located on North Washington St. in Easton, MD. The photographs of this project are highlights from the completed Phase 1 of the Master Plan which was developed for the Church. The new "Greeting Room" is the centerpiece of the completed work. A continuous skylight graces the top of this space letting plenty of light into the space. Bathrooms were upgraded. The kitchen was expanded. 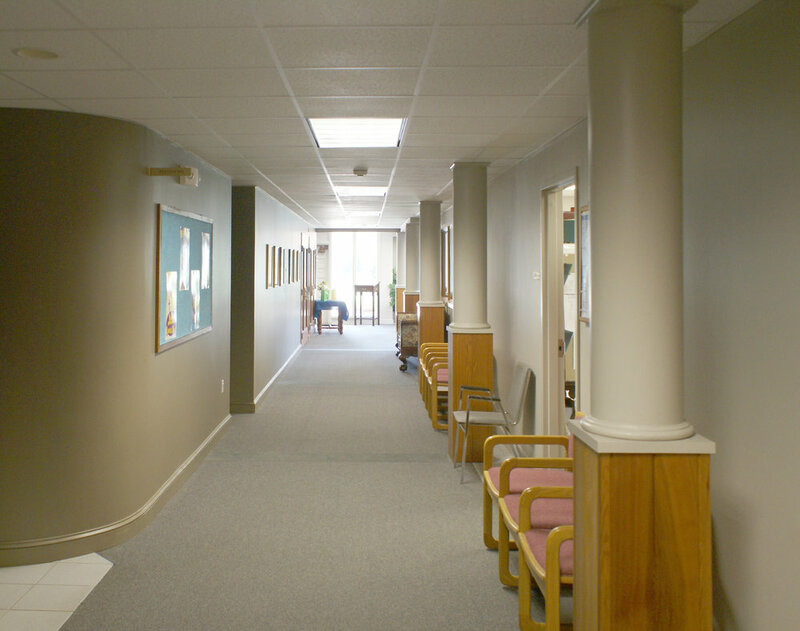 Corridors given a new life, and the facility in general given a complete overhaul.